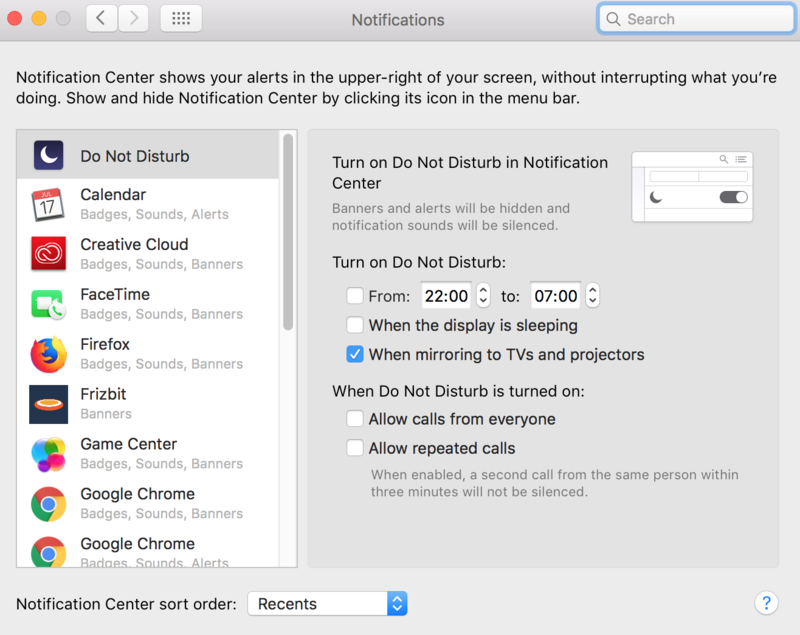 Even though we still can’t use Push Notifications on iOS, many MacOS users use Safari as their browser. 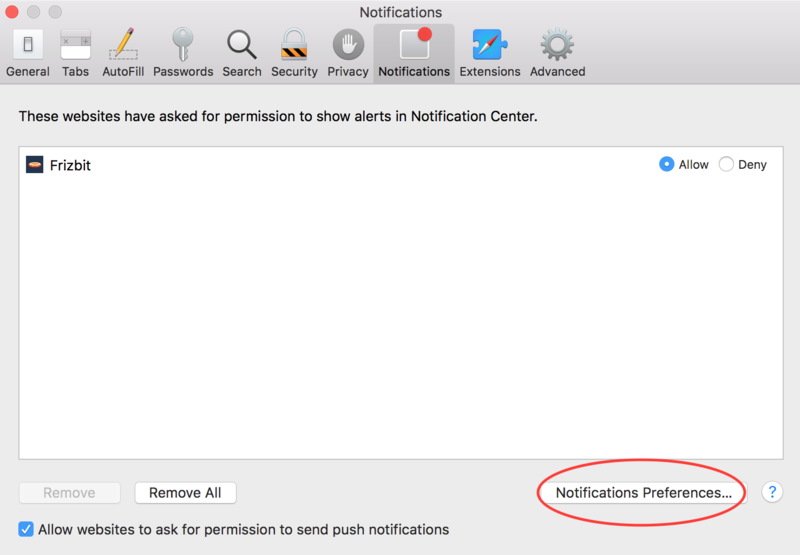 Here below explains how to disable push notifications on Safari. 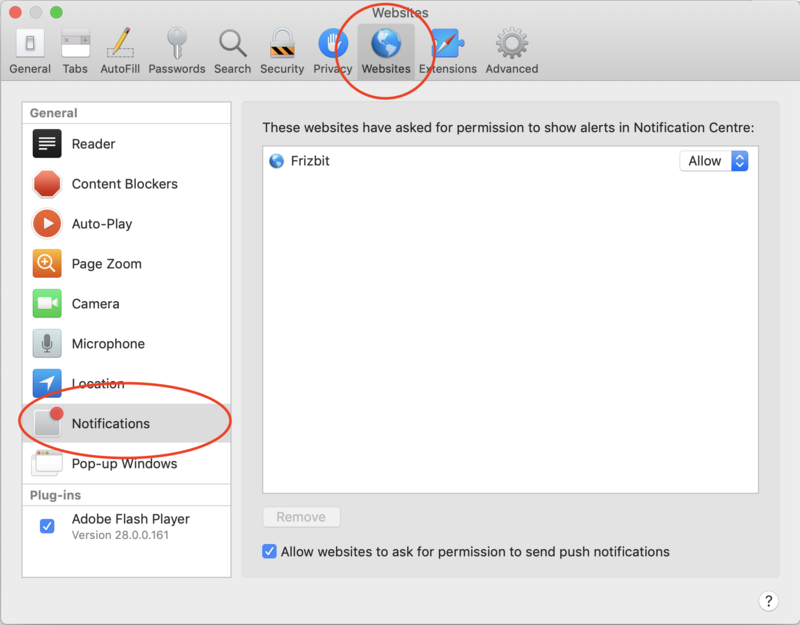 You can also find out about how to disable push notifications on Google Chrome and how to disable push notifications on Mozilla Firefox. 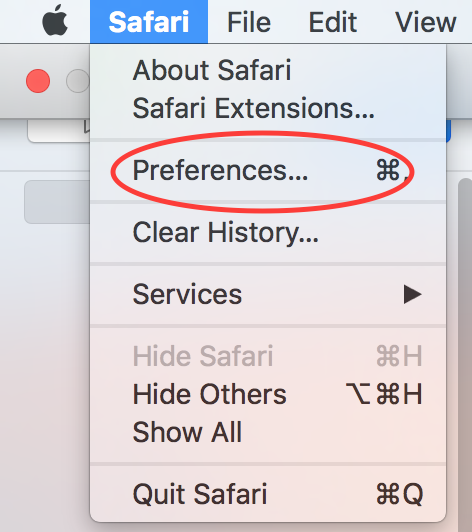 On the newer versions of Safari & MacOS, click on the Websites button and then click on the Notifications button on the left menu. Now you can see the websites that have previously asked for permission to send you notifications. You can Allow or Deny each website from below. If you click Allow, they will be able to send you notifications. If you click Deny, they won’t be able to ask your permission to opt-in. You can always click Remove for each website. It will remove the website from this page even if they were in Allow or Deny section. The website will be able to ask your permission. If you click Remove All, all the websites will be removed and they will all be able to ask your permission to opt-in in the future. 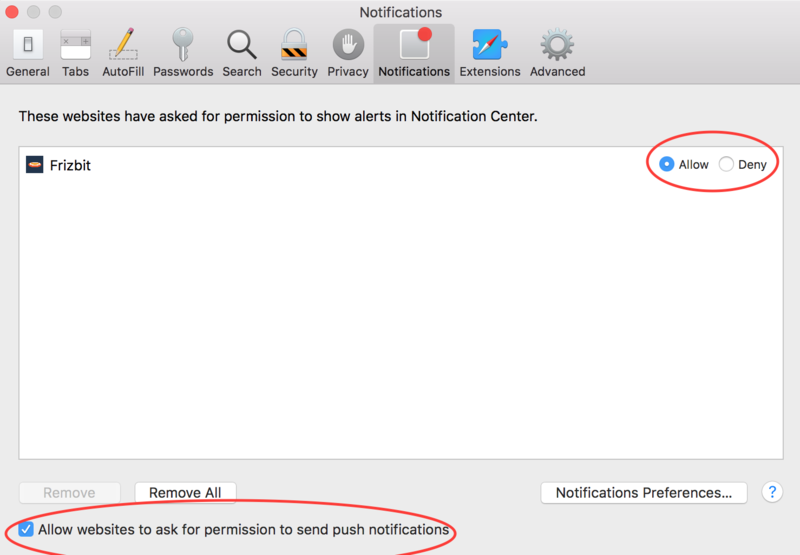 You can also decide to allow or block websites to ask for permission to send notifications from the bottom of the screen. If you click and tick the box to blue, new websites will be able to ask your permission to opt-in.